Successfully Added Full-HD IP Camera - IP66 Waterproof, 1/3-Inch CMOS, 1080p, IR Cut, 20m Night Vision, Smartphone Accessible, PTZ, 4 Alarm Zones to your Shopping Cart. Significantly increase your security at home or in the office with this Full-HD outdoor security camera. This IP camera comes with a 1/3-Inch CMOS sensor that treats you to ultra-clear 1080p security footage. Thanks to this, you’ll always have recognizable footage available of anybody who tries to approach your property. The IP camera furthermore supports 3X zoom and automatic focus. Therefore you can be assured that you’ll always have clear images at your disposal. Thanks to its IP66 waterproof design, this IP camera can be used both indoors and outdoors throughout the year. This Full-HD outdoor security camera comes with 3 built-in IR LED lights. It treats you to 20m night vision thanks to which your property will be protected around the clock. Your IP camera can be accessed from afar via your PC or smartphone. 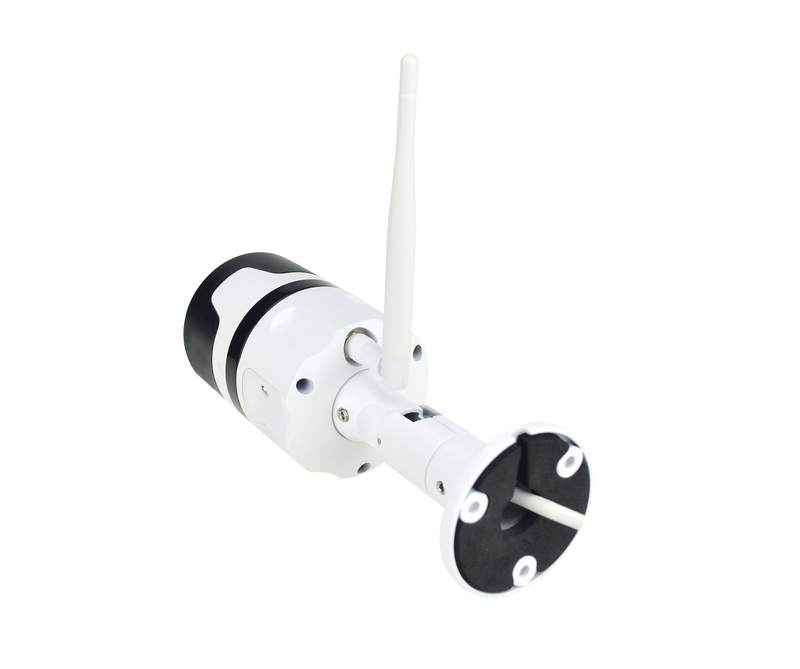 With the mobile application, this security camera is compatible with both iOS and Android phones. It allows you to watch back videos, control the angle of your camera, and to talk to possible intruders. This PTZ camera can be rotated 355-degrees horizontally and 90-degrees vertically. Along with its 160-degree viewing angle, you can be guaranteed that nothing stays hidden from this state of the art IP camera. Your IP camera allows you to set up to 4 different detection zones. Whenever motion is detected, your camera will start recording and send both images and video of the possible intruder to your email. It simultaneously stores all security footage on the SD card. By supporting up to 64GB external storage, there is plenty of space to store recordings for years to come. Besides saving the footage, your smart IP camera is also able to send out call and message notifications to your smartphone to inform you about the situation. Thanks to this, you’ll always stay up to date about your home’s security status even when you’re not around. 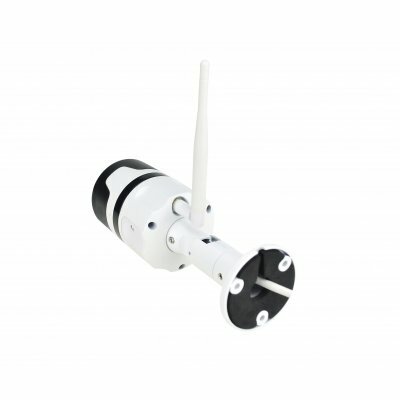 This outdoor IP camera comes with a 12 months warranty, brought to you by the leader in electronic devices as well as wholesale security cameras..